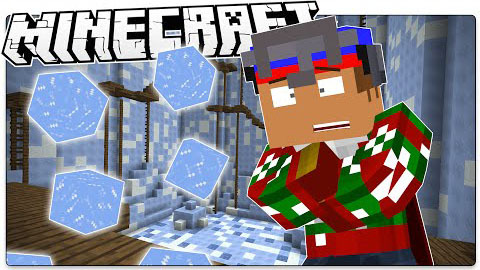 In Deep Freeze, ice will fall from the sky on the block that you were just on, and this will continue until you win or die. To win, climb on the blocks that fell to get up to the cave at the top of the cavern. There are also a couple spikes and wooden walkways to help you get up to the top of this cavern. It is about 60 blocks tall. This map also works with multiplayer, but only with 2 people or less. The way to win in multiplayer is to get to the cave at the top, or the other player dies.